Updated Tuesday June 12, 2018 by Admin. 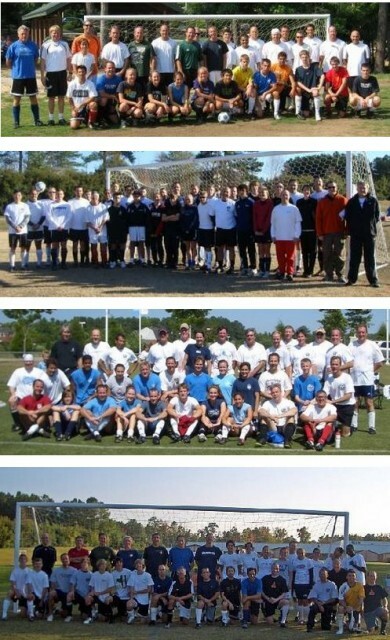 Futbol Club of Cary (FC Cary) has been providing youth soccer programs to Cary, NC and surrounding areas since 2000. Our focus is on the development of young players through participation and competition. We provide co-ed recreational, spring and fall outdoor seasons for ages U05-U17. We strongly believe in supporting our community by giving back through donations of money, time, and/or equipment. Through the years, we have supported local charities such as Anna's Angels, Duke Children's Hospital, Make-A-Wish Foundation, Cure Search, Western Wake Christian Ministry, and the American Cancer Society. FC Cary believes in providing a safe, fun and educational level of soccer for all children regardless of skill. Our emphasis is on the development of soccer fundamentals while focusing on good sportsmanship, fair play, and teamwork. We hope that through a positive environment, our players will gain an appreciation for soccer and continue to help the game grow. The success of our club is based upon the dedication and commitment of our volunteer coaches. We appreciate their willingness to spend their time passing on their love of the game to our players! Many of our referees are high school age youth or young adults that played soccer in FC Cary when they were younger. We are happy to be able to provide them opportunities where they can continue to be a part of the club and help the next generation of players.